The holidays are here and whether you’re looking to accomplish a goal before year-end, avoid over-indulging or learn to reduce stress during this hectic season, a coaching session can get you on the path to success! Join me for a one-hour deep dive and get focused on a particular issue that will kick-start your holiday health. 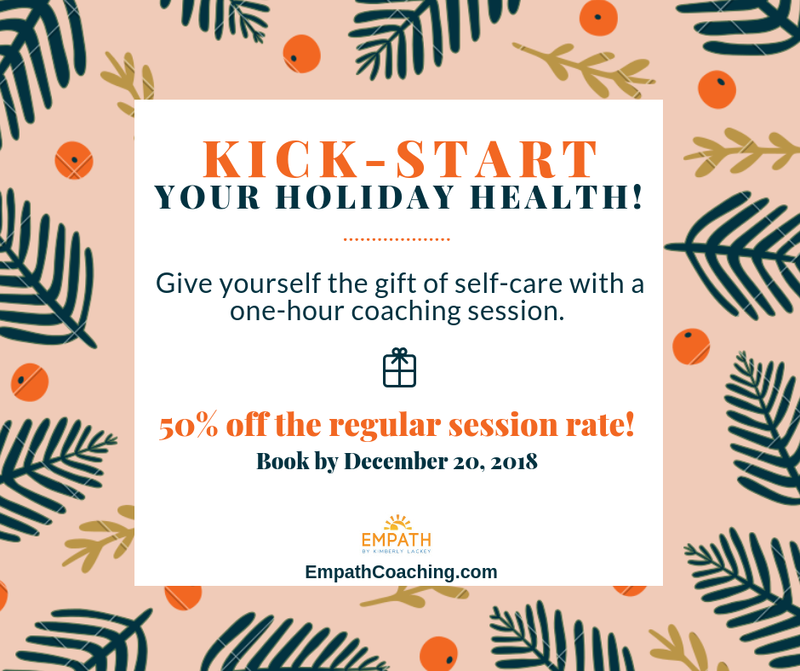 To celebrate the holidays, I’m offering this coaching session for 50% off the regular session rate (one hour for $100)! All sessions take place over the phone, via Zoom/Skype or if you’re local in Tampa, we can discuss doing the session in-person. Contact me in advance with any questions. Book your holiday session before December 20, 2018 to take advantage of this special session offering!